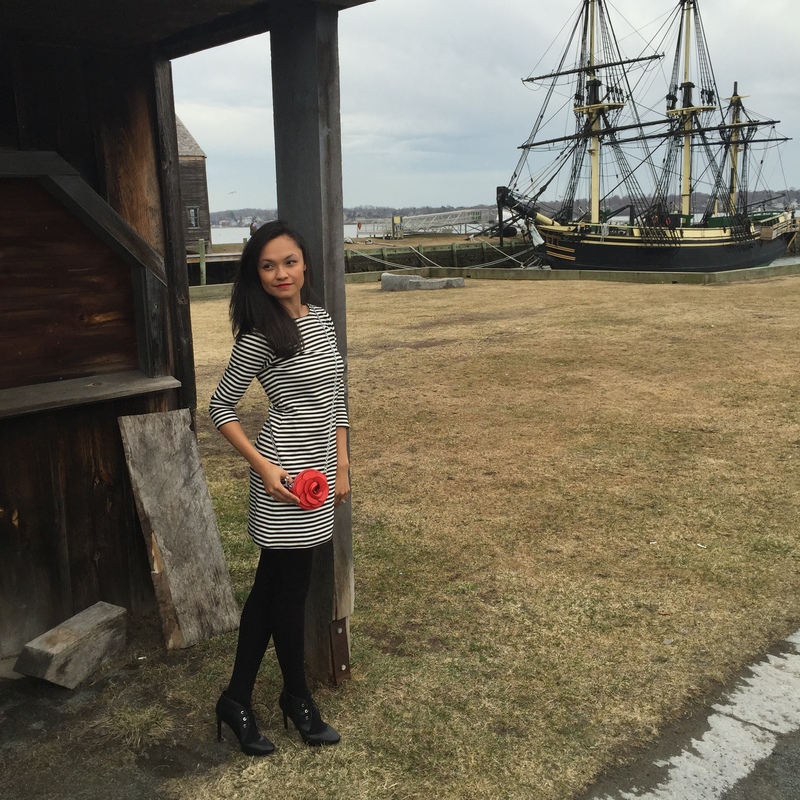 If you haven’t visited Salem, Massachusetts, you should! Salem is filled with an interesting cast of characters, cobble stone streets, full of a wide variety of museums and historic homes, and a ton of cute shops. 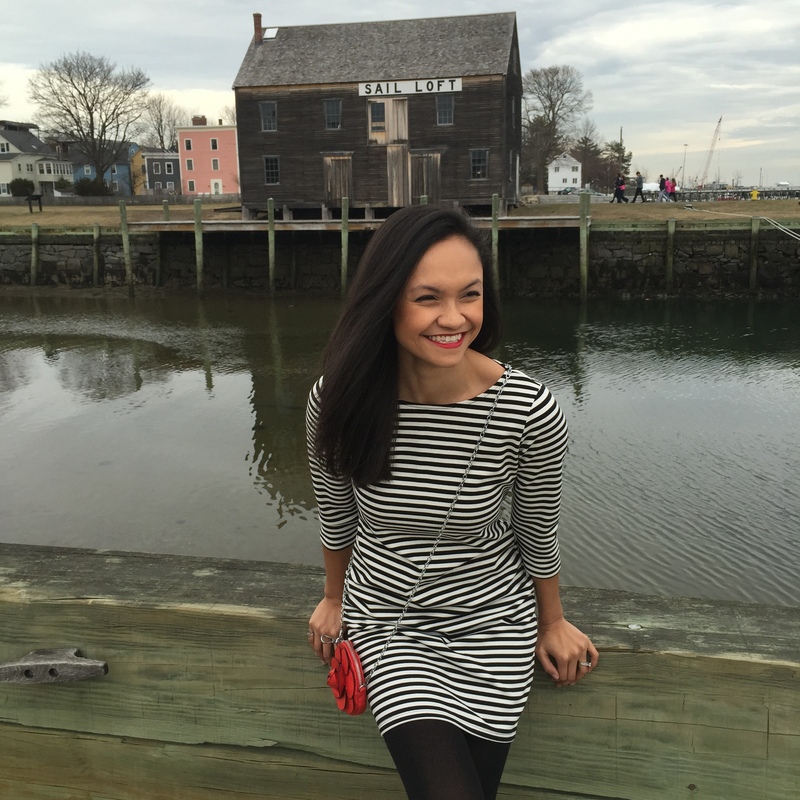 It is just how you would imagine a charming town in New England. While here, the sunshine was out but a little windy for a spring evening. 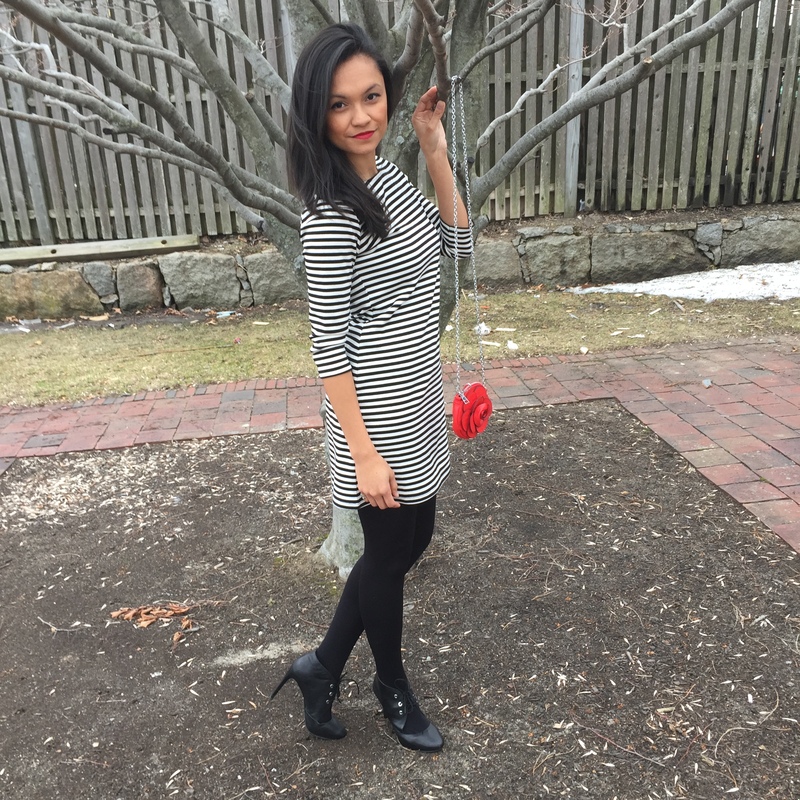 I wore a very comfortable black and white striped dress with 3/4 sleeves, fleece lined black tights (because I am always cold), and black leather booties to dinner. 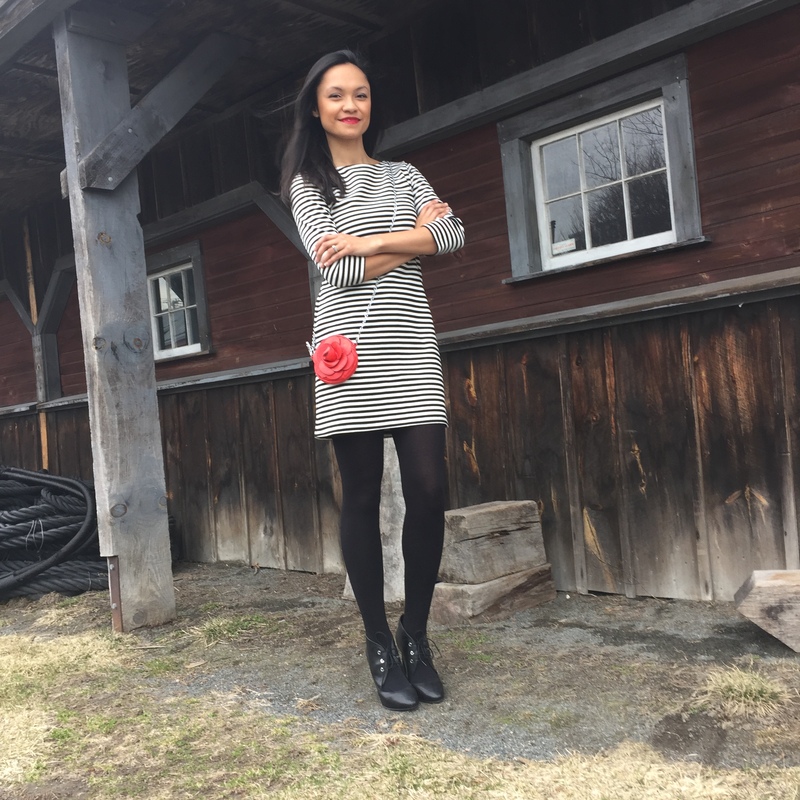 It was perfect for walking around the town with my better half and popping our heads into the little boutiques along Pickering Wharf. 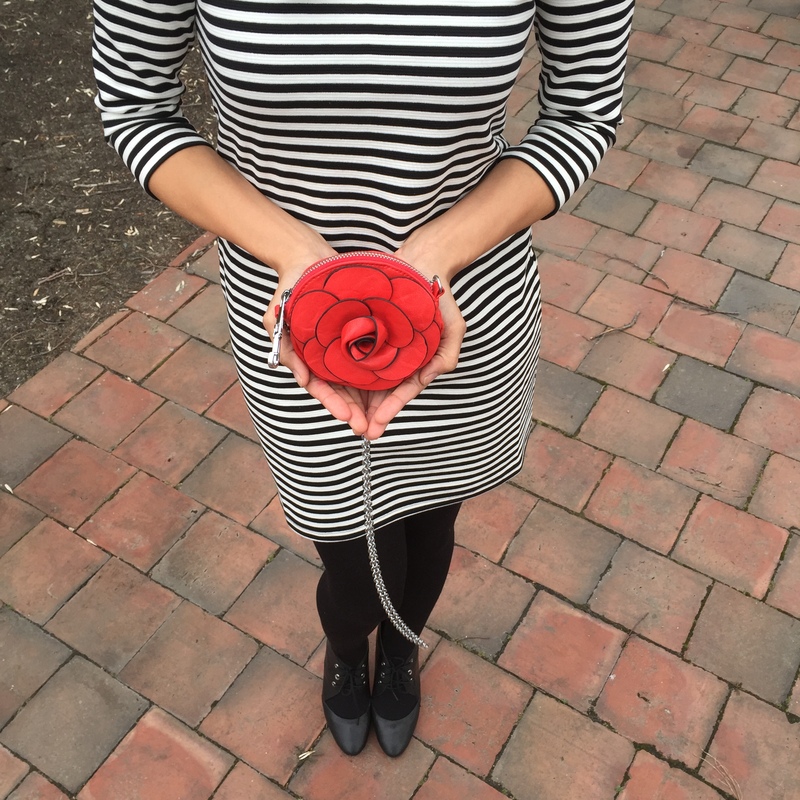 This rose coin purse was a fun and easy accessory to carry with me throughout the day. 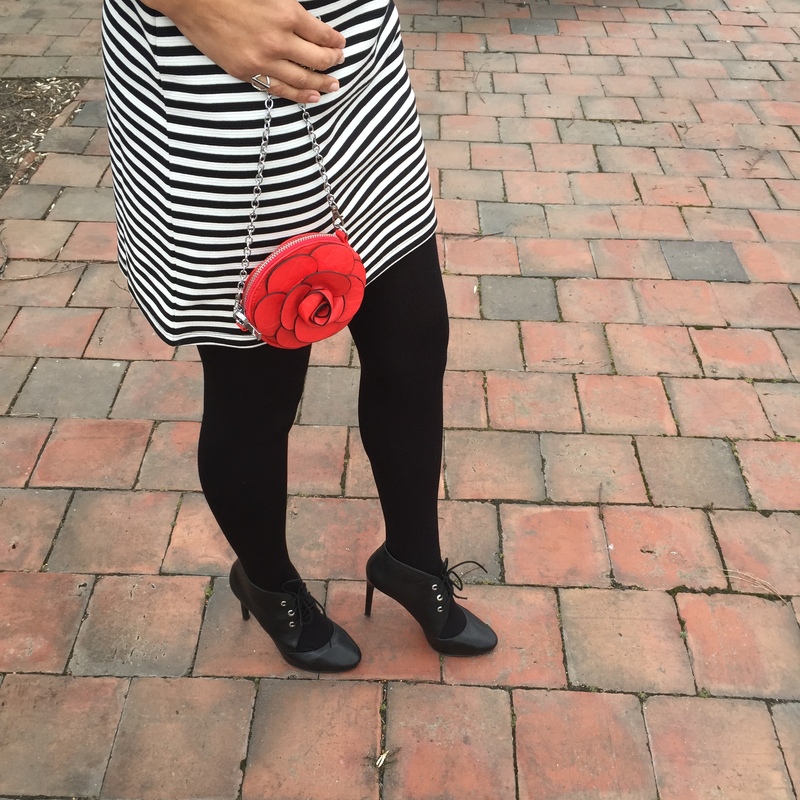 It was the right size fit the necessities and gave a great pop of color and texture from the dress. Thank you so much for reading! Have an awesome weekend!